Doesn't look like Garrett's going to let her go easily, if at all hmmm? That brings us to the final chapter in this arc starting next week... after reading over the chapter, it seems as if it may be shorter than this one. 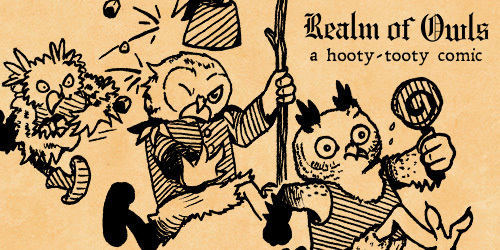 This week we have some great Antrhopromorphic comics for your perusal! 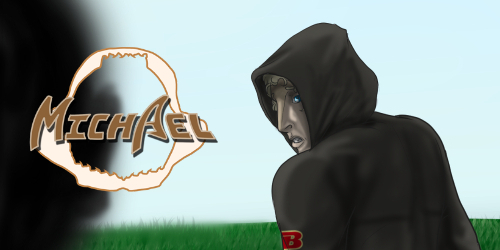 This includes my newest comic effort "Michael" Enjoy everyone! Michael by D. Randall- What would it be like to be a gemue in an all human high school? Michael is about to find out as his sharkmue genetics begin to show. Some want to put him on a pedestal others want to run him out of school - Michael just wants to survive the ninth grade. 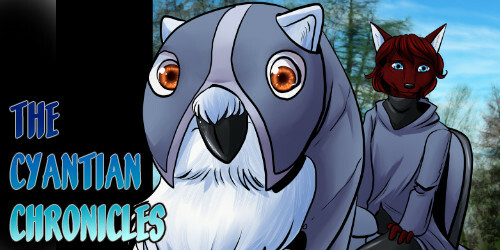 The Cyantian Chronicles by Tiffany Ross - The Cyantian Chronicles is a collection of ongoing comics centered around anthropomorphic creatures from another world and their adventures in finding out who they really are, other than a genetically engineered slave race whose roots lie on the planet Earth.